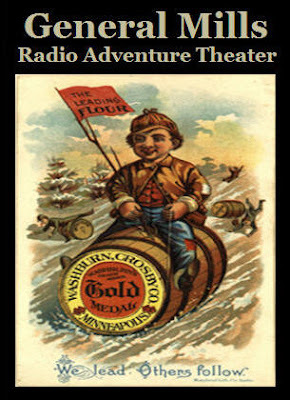 The General Mills Radio Adventure Theater was a 1977 anthology radio drama series with Tom Bosley as host. Himan Brown, already producing the CBS Radio Mystery Theater for the network, added this twice-weekly (Saturdays and Sundays) anthology radio drama series to his workload in 1977. It usually aired on weekends, beginning in February 1977 and continuing through the end of January 1978, on stations which cleared it. General Mills's advertising agency was looking for a means of reaching children that would be less expensive than television advertising. Brown and CBS were willing to experiment with a series aimed at younger listeners, reaching that audience through ads in comic books. Apart from Christian or other religious broadcasting, this may have been the only nationwide attempt in the U.S. in the 1970s to air such a series. General Mills did not continue as sponsor after the 52 episodes had first aired over the first 26 weekends (February 1977 through July 1977), and the series (52 shows) was then repeated over the next 26 weekends (August 1977 through the end of January 1978), as The CBS Radio Adventure Theater, with a variety of sponsors for the commercials. Thanks for putting these up for me and everyone to here. I remember these as a kid. Helped make me love radio and still do!!!! As a kid, this was my favorite radio series. I used to look forward to hearing them each week. Thanks for putting them on your site! Great stories on this show! Very engaging. Good morals too. I'd so love to hear these shows, but the zip file requires a password and I'm unable to open. Are the files no longer available? Regardless, thanks for your kindness in having made them available.